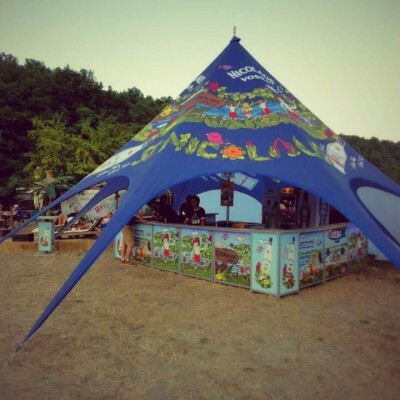 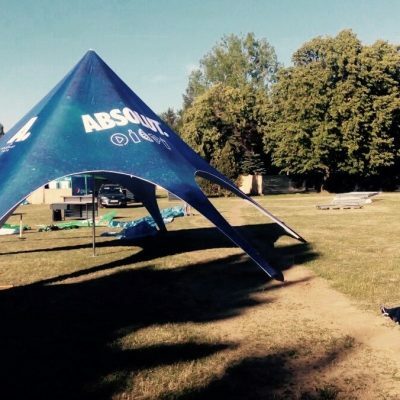 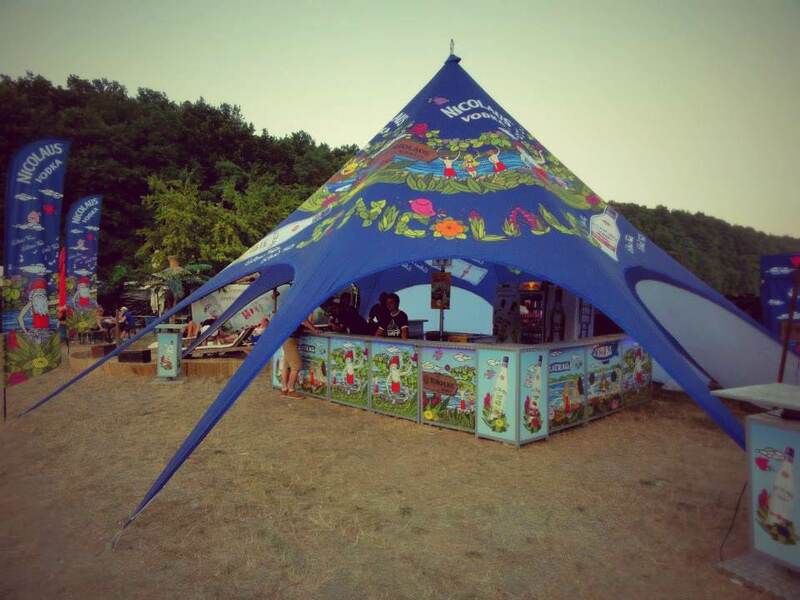 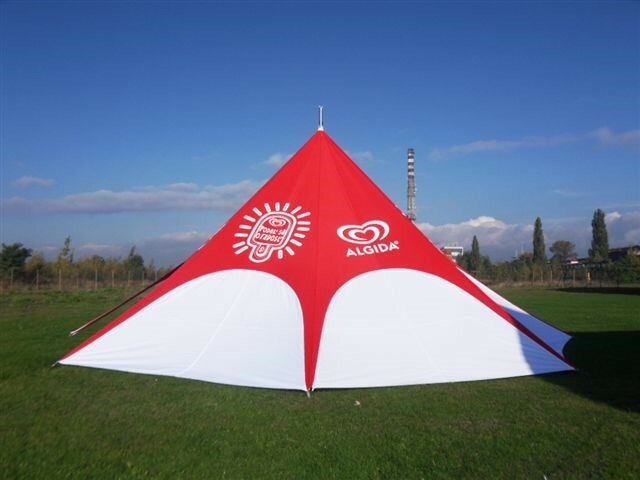 Star tent is unique and impressive! 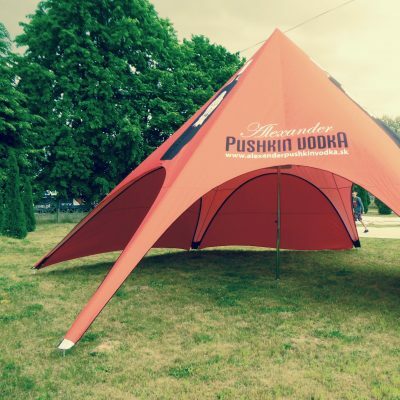 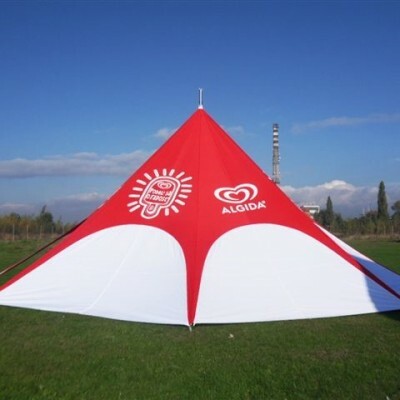 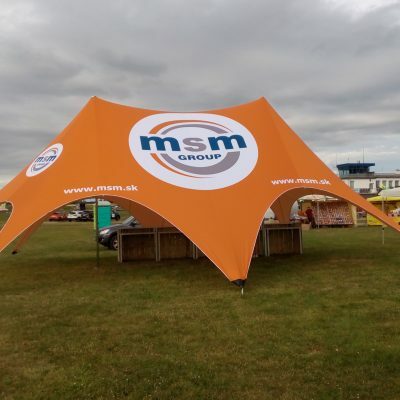 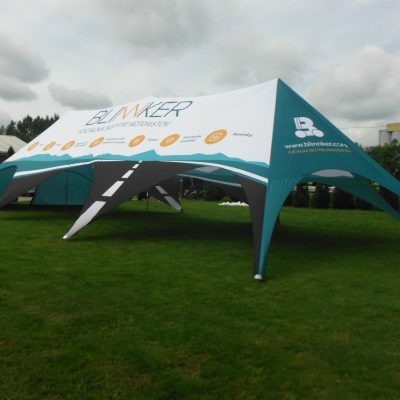 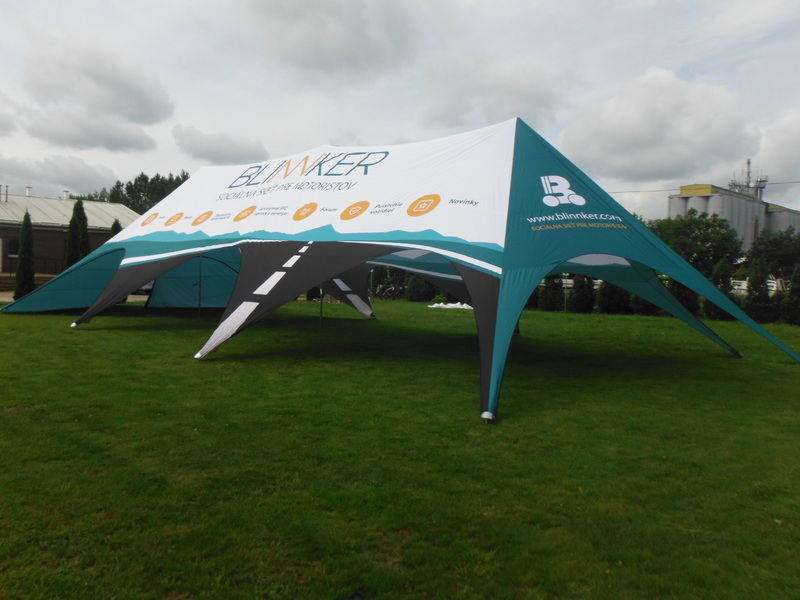 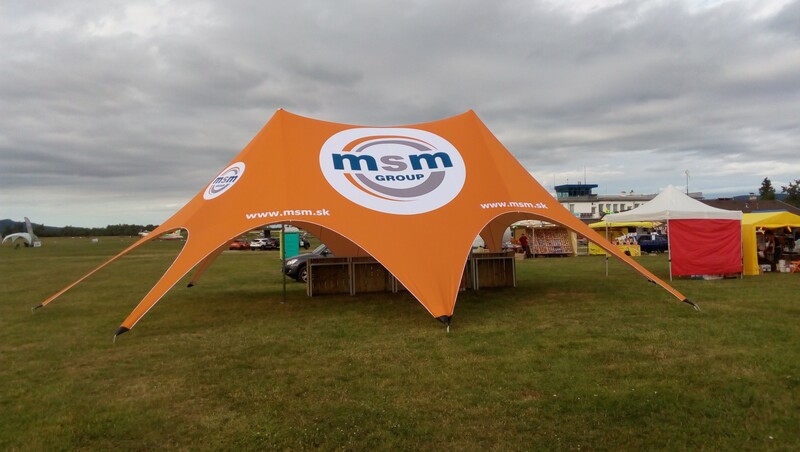 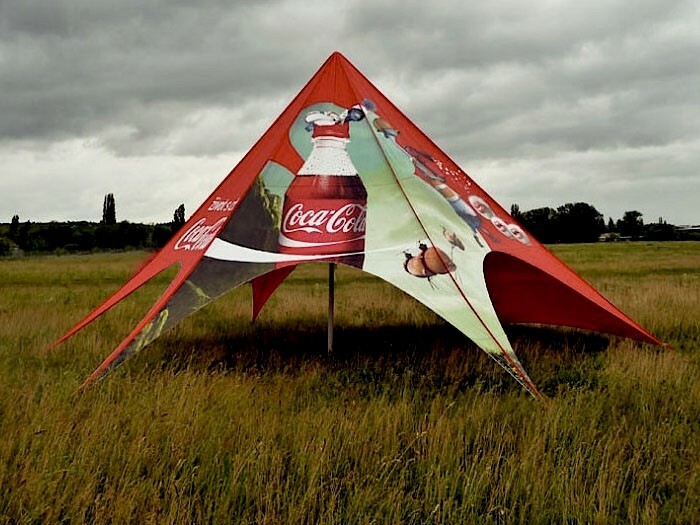 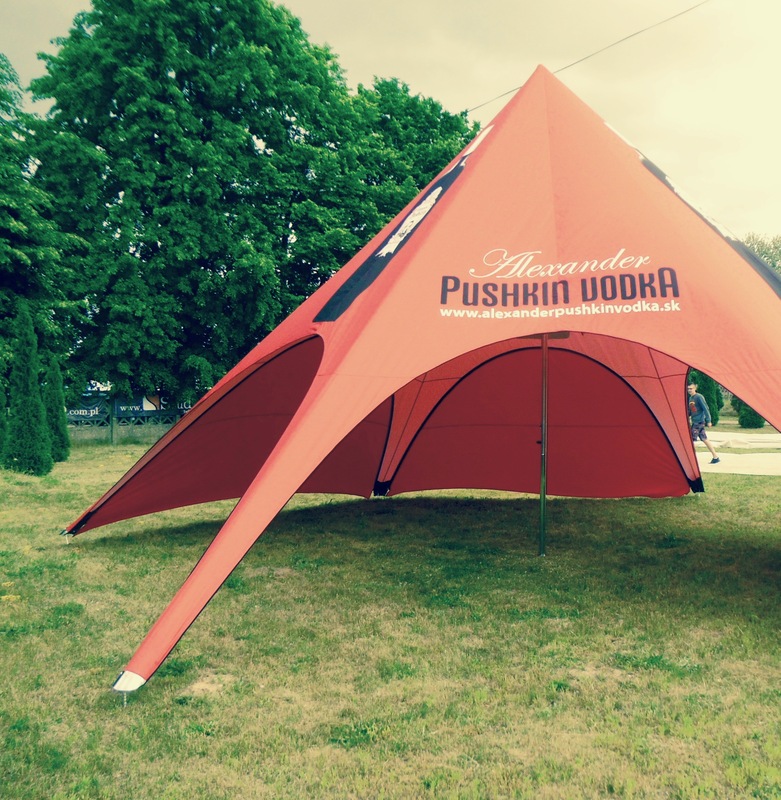 Tents are offered in 19 colours. 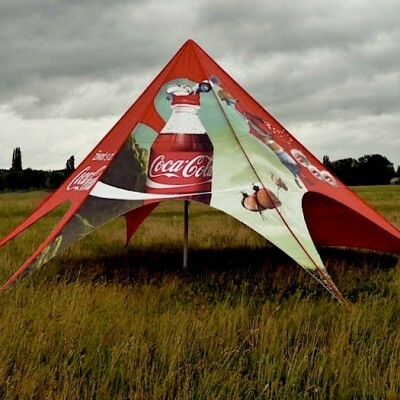 You can make your own combination. 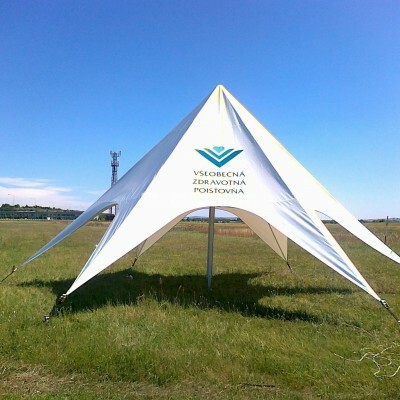 The product made of coated polyester fabric to be stretched out on an aluminum frame. 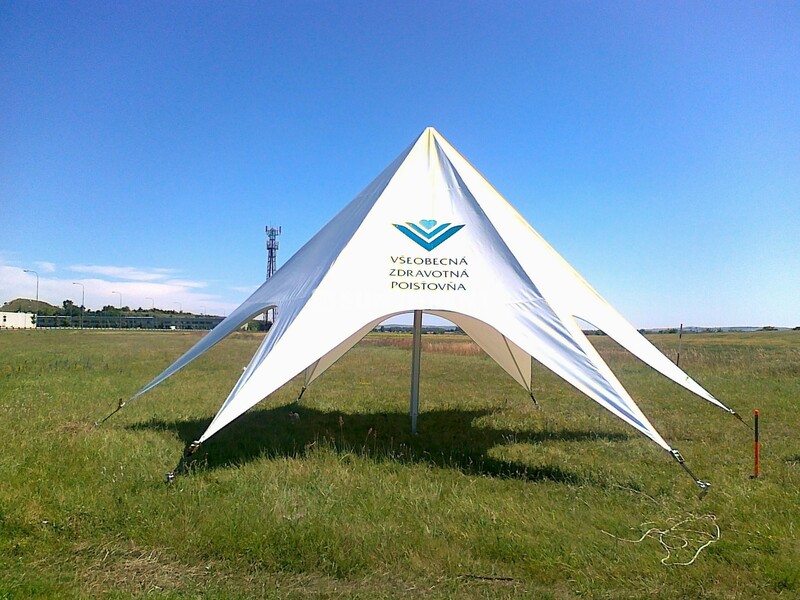 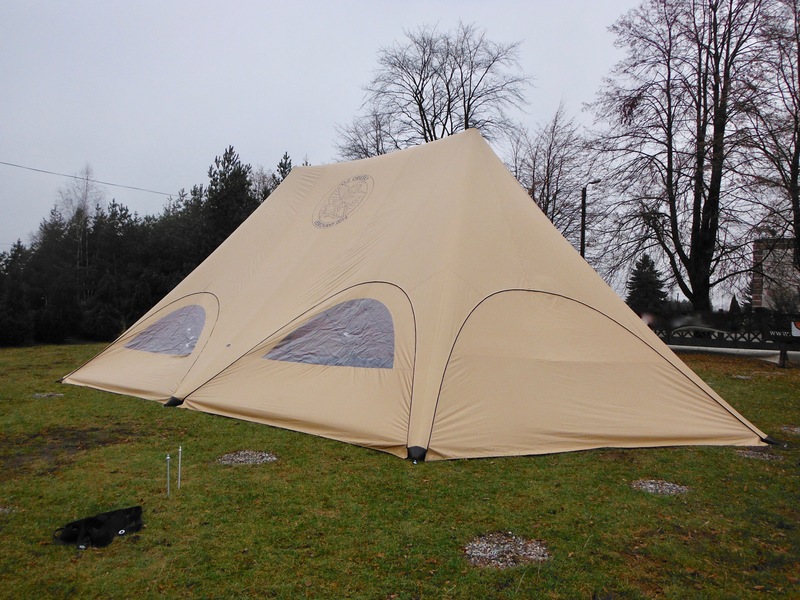 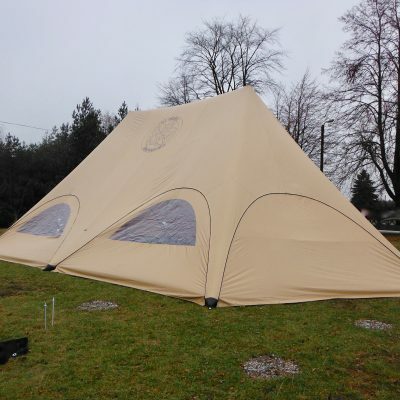 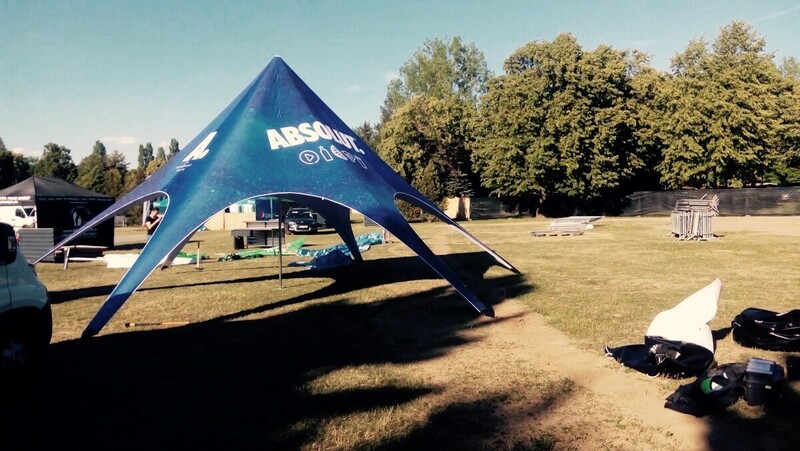 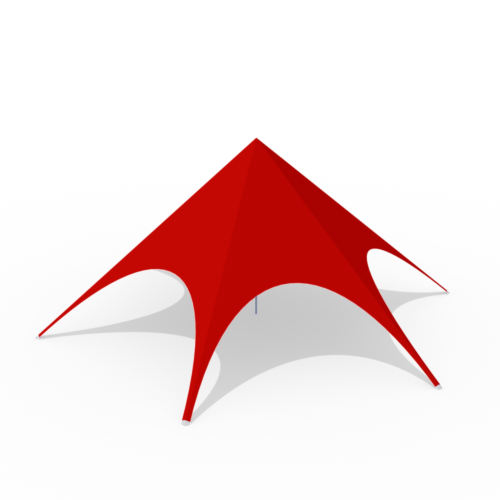 The tent should be secured to the ground with ground anchors. 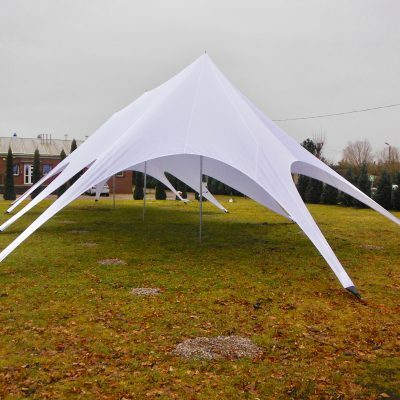 The fabric is UV stabilized, waterproof, anti-microbial treated and flame-retardant. 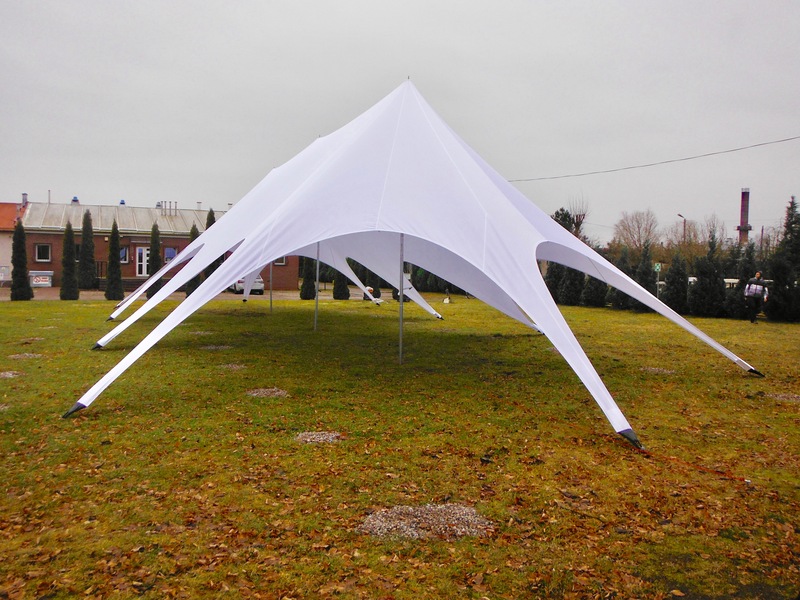 There are wide range of accessories depand on your demand – various types of sidewalls, lighting, weight, heating, transport bags, etc…. 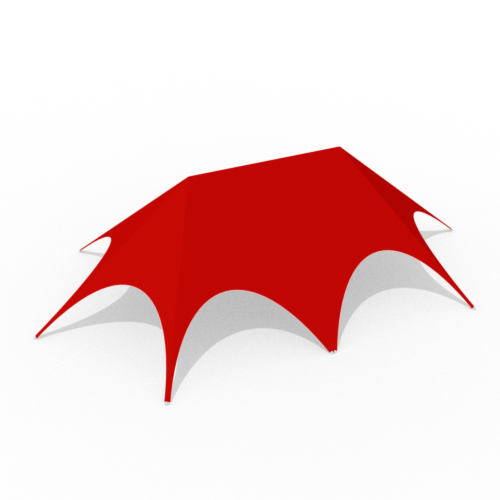 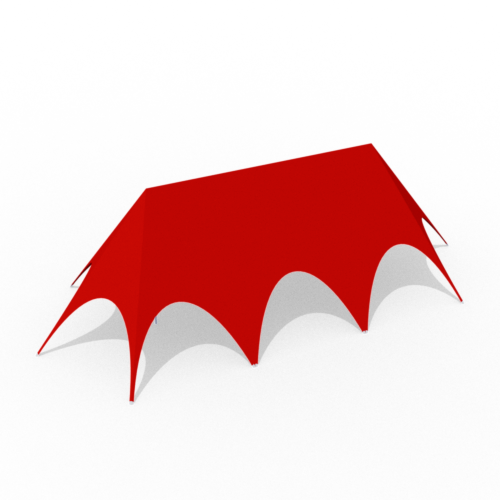 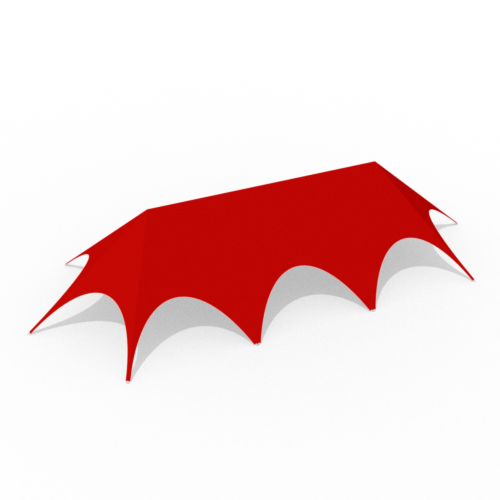 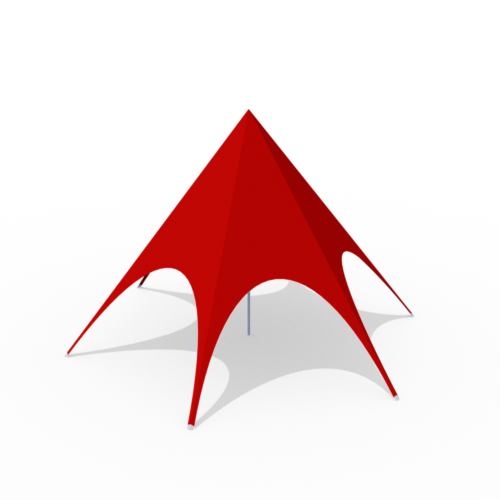 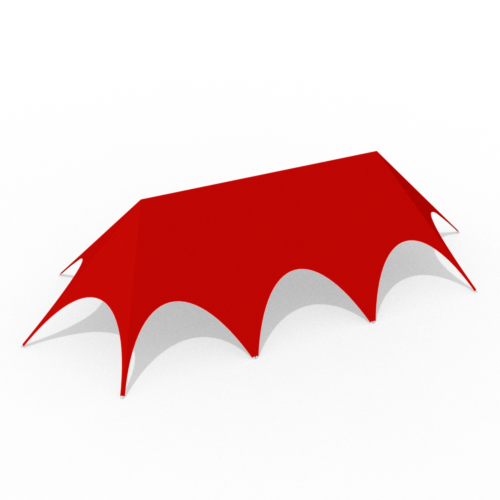 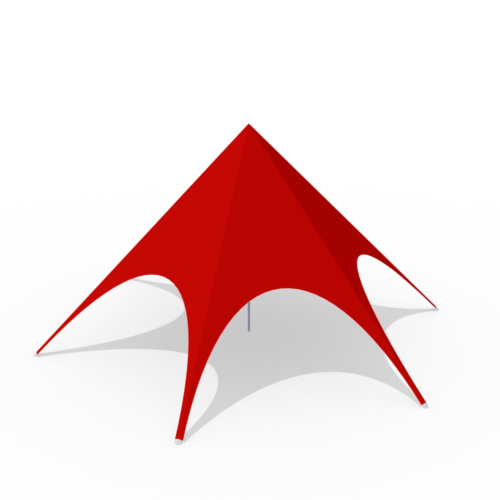 There is a little probability to damage Star tent due to its very simple construction. 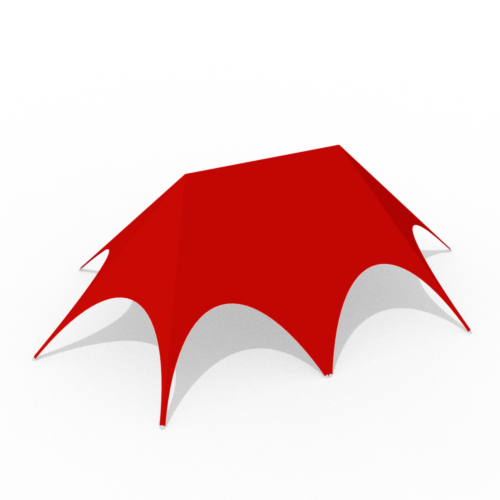 Even so the damage occurs, we supply of spare parts in short time for quick repair.